Upper limb disorders are a particular group of musculoskeletal ailments affecting the arm and neck. 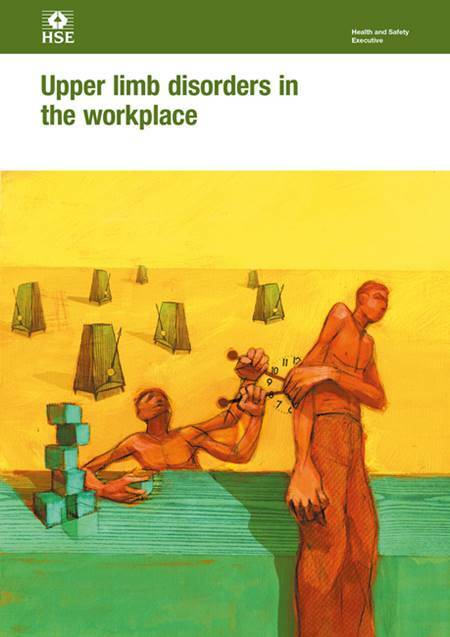 This revised and extensive guidance is addressed to managers with responsibility for workers at risk of developing such complaints and explains the - often hidden - hazards and risks and how to control them. Commencing with a seven-step flow chart, the reader is guided smoothly through the document as it examines broader ergonomics and specifics such as repetitive work, postures, operations involving force, duration of exposure to certain processes, environmental and psychosocial factors and individual physiological differences. A very detailed study supported by case studies, risk filter worksheets and a multitude of diagrams, illustrations and easy-glance information tables. Also features a breakdown of legal requirements.